A collection of articles covering the all important 'science and art' of effective fitness testing and exercise prescription. After all, the most technically brilliant testing and prescription is useless if your client can't won't do it right? In order to prescribe the ideal sets, reps and rests for your clients you must understand the components of fitness these variables relate to. This page provides you with all the clarity you'll need..
To prescribe the correct variables (reps, intensity, rest etc) to suit your clients goals and abilities you need to consider how the fitness componets relate to our physiology. In this page we look specifically at the relationship with the energy, nervous and musculoskeletal systems. The 12 principles of exercise are akin to the 10 commandments (I think it's 10 isn't it?) Apply each of the principles to each of your clients and their progress is quite simply...guaranteed! A convenient table that provides you with guidelines for the correct application of the FITT variables to each of the fitness components. 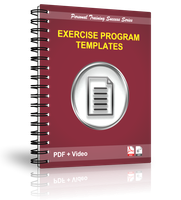 Usefull for you understanding and fundamental to effective exercise prescription. Positive adaptations (in lay terms 'results') are what every client wants and needs. 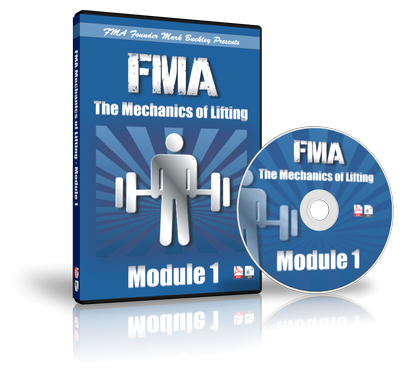 Learn how to apply the exercise principles correctly (as shown) here and expect positive results to occur for every client. When positve training adaptations don't occur it can typically be traced to one of these three things...the sooner you identify them the sooner you can remedy them! No two clients are the same - obvious huh? Does this mean we prescribe exercise differently to beginners as opposed to advanced clients? Sadly it seems that all too often we don't. Learn the art of prescription for different client stages here. Humans have seven primary movement patterns that are learnt and refined throughout life. Learn what these patterns are, and the implications of correcting these patterns for your exercise instruction. Read this page to discover why a clients exercise technique is poor, why they may struggle, why they get 'sloppy', and what you need to do as a trainer to ensure clients train safely. Read this page to learn about what 'failure' actually is when a client exercises and why accepting 'good enough' technique is not only hurting our clients but hurting our businesses as well. Understanding these important biomechanical terms will enable you to understand why some some squat variations are more or less effective than others and why some variations are just plain dangerous! I hate to break it to you trainers - traditional postural assessments are fundamentally pointless exercises. 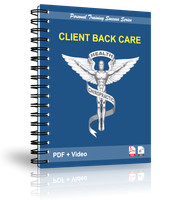 Learn why this is and how you can improve a clients static posture by reading this page. A very convenient form for you to use when assessing and recording your clients dynamic posture and movement. Rather than wasting time with postural assessments learn why assessing the way your clients move is much more productive. We even show you what and how to do it on this page.